Adakah Kerajaan Persekutuan BN Bercadang Menaikkan Harga Tol Jambatan Kedua Pulau Pinang Lebih Tinggi Daripada RM9.40 Yang Pasti Akan Dikenakan Juga Untuk Jambatan Pertama Yang Kini Pada Tahap RM7? BN harus menjawab soalan penting ini berikutan keengganan YB Menteri Kerja Raya menjawab soalan saya di Parlimen tentang kadar tol yang akan dikenakan sebaik jambatan Kedua Pulau Pinang dibuka untuk lalulintas pada Nov 2013. Dalam jawapannya kepada saya secara bertulis pada 26 Nov 2012, YB Menteri hanya menyatakan bahawa kadar tol ini akan diumumkan setelah keseluruhan projek ini disiapkan kelak pada Sept 2013. Sebelum ini Kerajaan Persekutuan BN menyatakan kadar tol Jambatan Kedua Pulau Pinang telahpun ditetapkan pada harga RM9.40. Ini bermakna bahawa kadar tol untuk Jambatan Pertama Pulau Pinang akan dinaikkan daripada RM7 kepada RM9.40 kerana tidak ada sesiapa akan gunakan Jambatan Kedua sekiranya kadar tolnya jauh kebih tinggi daripada Jambatan Pertama. Malah berkemungkinan besar pengguna kenderaan akan lebih memilih Jambatan Pertama sungguhpun kadar tol kedua-dua jambatan adalah sama kerana jarak Jambatan Kedua sepanjang 23.5km adalah lebih panjang dan memakan duit minyak berbanding dengan Jambatan Pertama sepanjang 13km. Press Statement By Penang Chief Minister Lim Guan Eng In Komtar, George Town On 27.11.12. Datuk Seri Kong Cho Ha should do his duties as Transport Minister and visit the twin distressed projects of RM 250 million expansion of Penang International Airport and RM 43 million Tanjung City Marina as well as the troubled RM 65 Million Swettenham Pier project. The Penang state government is shocked by the outrageous claim by Malaysia Airports Holdings Bhd (MAHB) that renovation and upgrading works at the Penang International Airport in Bayan Lepas have been “substantially completed”. Any passenger who uses the Penang International airport facility knows this is untrue. How can MAHB sacrifice public interests by stating that the expansion project has been substantially completed when the roof has still not been put fully up, water leaks occur when raining, the toilets are dirty and the whole place still looks like a construction work-site with noise and dust. Only those with eyes but do not see, ears do not hear and a brain that does not think can agree with MAHB’s outrageous lies that the RM250 million expansion project has been “substantially completed”. The Penang state government regrets the irresponsible attempt of Deputy Finance Minister Datuk Donald Lim at a Penang MCA economic forum to manipulate economic data to benefit BN politically. Donald Lim’s claims that Penang Gross Domestic Product (GDP) growth for the first nine months of this year showed a drop to 1.8% is not reflected by business sentiment nor the worker shortage in Penang. The BN Federal government should not politicise economic data that Penang has recorded negative economic growth when this is not the reality on the ground and even small and medium enterprises (SMEs) complain that their biggest problem is in finding workers. Only on Thursday whilst attending the Small and Medium Enterprises Association(SAMENTA) dinner at E&O Hotel, I was told by its President that business orders were firm and their biggest problem was finding workers. Penang is a small island located off the northwest coast of Malaysia. With a total land area of about 1,031 sq km when combined with the mainland portion of the state, we make up the second smallest state in Malaysia. However, though we may be small in size, I am sure many of you here in Singapore will agree with me when I say that good things come in small packages. We share many similarities with Singapore. Penang, being a part of the Straits Settlements, had its humble beginnings as a prosperous port city. Naturally blessed with the strategic geographical advantage as the gateway into the Bay of Bengal and a pivotal point in the spice and silk trades, Penang was able to carve a commercial niche as an international transhipment hub and entrepôt. Speech By DAP Secretary-General And MP For Bagan Lim Guan Eng In The DAP Bidayuh Ceramah In Serian Town, Sarawak On 25.11.2012. This historic DAP ceramah in the small town of Serian by DAP Serian Branch with over 2,000 mainly Bidayuhs, show that Sarawak native people such as Bidayuh, are ready to accept the DAP for the first time ever because you want a change of government. You want a change in government because you know BN can not change. As long as BN supports corruption as it has done over 50 years, we know that BN will never change just like a leopard cannot change its spots. Public confidence in the Royal Malaysian Police Force has severely eroded over the years, with the latest outrageous scandal involving an Indonesian restaurant worker who was allegedly raped by three policemen. Last week, a police corporal and two constables have been charged for the alleged crime. How are Malaysians to have any confidence in the police when the very officers entrusted with upholding the rule of law and public safety can be alleged to have committed such a heinous crime, and in a police station no less! Unless the people have unquestioned confidence that the police will protect the public and not behave like criminals, the billions of ringgit spent every year by the Federal government will not improve the image of the police as a responsible defender of public safety. Speech By Penang Chief Minister Lim Guan Eng During The 4th World Chinese Economic Forum In Melbourne Convention Centre On 13 November 2012. Many Asian Countries, Including Malaysia, Faces A Talent Cliff That Will Not Only Blight Economic Growth And Innovation But Also Affect Efforts To Establish Integrity In Public Life. 1. The United Nations Population Fund(UNFPA) estimated that in 2008, for the first time in history, more than half of the world’s population will be living in cities. With 3.3 billion people living in cities today this number will double by 2050 where 75% of the world’s population will live, with urban growth concentrated in Africa and Asia. For this reason whilst I agree with the Asian century, I am more inclined to think that the Century of Cities will have more relevance to us. 2. In principle, cities offer a more favourable setting for the resolution of social and environmental problems than rural areas. Cities generate jobs and income. With good governance, they can deliver education, health care and other services more efficiently than less densely settled areas simply because of their advantages of scale and proximity. Pakatan Rakyat’s Agenda Ekonomi Saksama(AES) or Equitable Economic Agenda That Wipes Out Poverty In Penang By 2013 Will Ensure All Households Have A Minimum Monthly Income Of RM770 Benefits All, Including The Indian Poor. 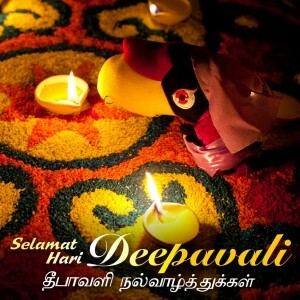 I wish all Hindus in Penang and Malaysia a Happy Deepavali to celebrate the Festival of the Light. 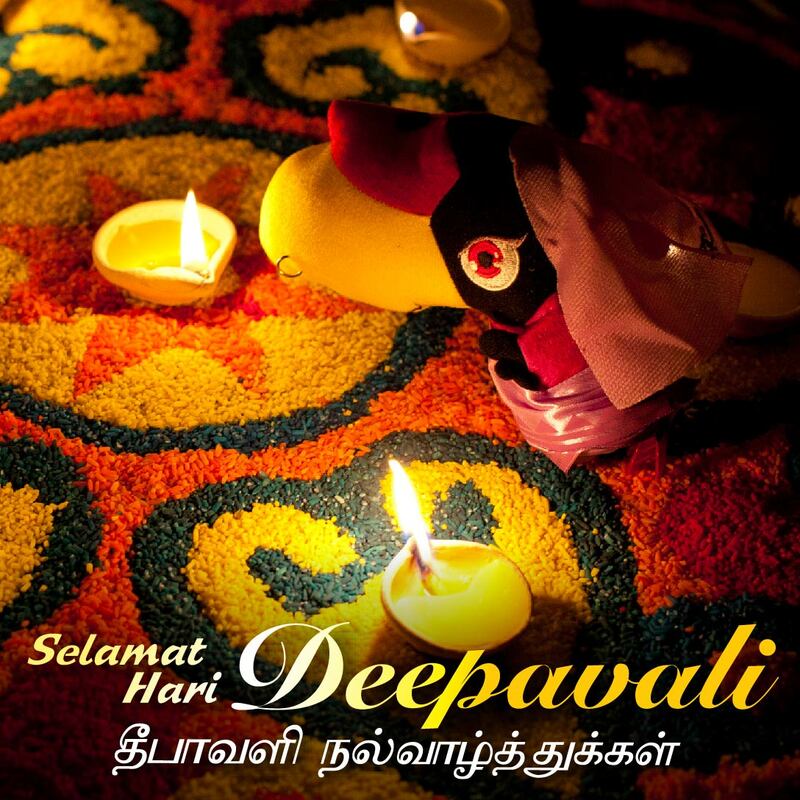 To commemorate this festivity, the Penang state government has decided to shine the light on the lives of the poor by becoming the first state in Malaysia to wipe out poverty by 2013. Pakatan Rakyat’s Agenda Ekonomi Saksama(AES) or Equitable Economic Agenda that wipes out poverty in Penang by 2013 will ensure all households have a minimum monthly income of RM 770 benefits all, including the Indian poor. Penang became the first state in Malaysia to wipe out hard-core poverty(households with monthly income of less than RNM400) in 2009 and had intended to wipe out poverty by 2015. It has been reported today that Transport Minister Datuk Seri Kong Cho Ha stated that he has no obligation, responsibility or interest in knowing the identity and background of the biggest shareholder of one of the two contractors for the devious Automated Enforcement System (AES) 1Malaysia cameras. On Monday, PKR central committee member Chang Lih Kang alleged that one of the two firms given the AES contract has links with Johor UMNO, whereby the largest shareholder of the firm is the eldest child of a division chief and the deputy Wanita UMNO chief of Johor. Both parents and a cousin are also said to be state assemblymen. According to the Oriental Daily News, Kong was also quoted as saying that he has no relationship with the shareholder and that the contract to the two firms had been approved by the Cabinet in 2008 before he was appointed to his current post. Press Statement By Penang Chief Minister Lim Guan Eng In Penang On 8.11.2012. Penang BN’s refusal to pay in full the purchase price of the 1.1 acre piece of land in Taman Manggis of RM 22,407,300 even though they claim to already have the money, questions the honesty of BN Penang whether they are serious in buying the land to build low-cost housing for rental(Projek Perumahan Rakyat or PPR). Why retain RM 22,183,227 when it can be paid to the state government? BN Penang must concede that even though they are no longer in power, they are dealing not just with any ordinary body but with a properly constituted state government. After all, the state government is not going to run away with the money. BN Penang Chairman Teng Chang Yeow had wrote on 3.10.2012 that BN Penang have accepted the Penang state government offer to buy at RM 450 per square feet to build PPR. Teng had paid only 1% or RM 224,074 dated 3.10.2012 on behalf of BN Penang. On 4 October, I had replied to Teng that the remainder 99% or RM 22,183,227 must be paid within 30 days by BN Penang. Press Statement By DAP Secretary-General And MP For Bagan Lim Guan Eng In Kuala Lumpur On 7.11.2012. The DAP Central Executive Committee (CEC) at its meeting on Monday night 5.11.2012 unanimously reiterates that the question of whether a candidate stands for both parliament and state seats in particular situations should be decided on a case by case basis, as it relates to political strategy and winnability. All members are urged to refrain from publicising an internal party mechanism to the mainstream media, which is intent on portraying and harming DAP and PR negatively. Such negative portrayals are sensationalised to distract attention from the failed policies, lies and crony culture perpetuated by BN. Apart from the issue of installing 831 1Malaysia Cameras under the controversial Automated Enforcement System(AES) that allows private companies to profit by earning commission based on traffic summons issued, BN is mired in financial scandals and improprieties involving its leaders. The Objective Of The Penang State Government’s HAPPY! Programme Is To Make People Happy And Not For Political Gain. According to news reports yesterday, Federal Territories and Urban Wellbeing Minister Datuk Raja Nong Chik Raja Zainal Abidin was quoted as saying that the Penang state government’s Housing Assistance Programme of Penang, Yes! (Happy!) should not be politicised. He also added that the state government should be aware that it is the Federal government which is putting up 70 to 90% of the cost needed to repair and paint the low-cost (LC) and low medium-cost (LMC) flats under the 1Malaysia Maintenance Fund (TP1M). The Penang state government regrets Raja Nong Chik’s statement as there is no intention whatsoever of politicising the issue. The purpose of the RM50 million HAPPY! programme is to supplement the balance of the cost of upgrading or repairing low-cost housing by the Federal government’s TP1M programme. This is to help the Federal government by ensuring that people living in LC and LMC flats will be able to live in dignity. Rakyat Malaysia dikejutkan lagi dengan berita jenayah zalim apabila seorang bekas guru Jabatan Kebajikan Masyarakat (Kemas) telah meninggal dunia akibat lemas selepas mukanya ditekup dengan bantal oleh dua orang perompak di rumah kedainya di Sungai Besar, Sabak Bernam pagi semalam. Mangsa dikenali sebagai Sadariah Tohbasar @ Ahmad, 65, dan bekerja sebagai tukang jahit dan pembuat kuih. Yang lebih menyayat hati, kejadian itu disaksikan oleh cucunya, Mohd Hafizul Azwan Mohd Aznan, 17, yang akan menduduki peperiksaan Sijil Pelajaran Malaysia (SPM) esok.